I saw a great trade example that I had to share with you guys; we are going to walk through how to day trade a bull trap. 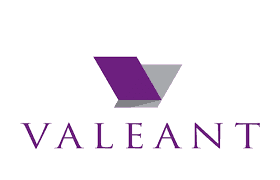 As many of you know, Valeant Pharmaceuticals (VRX) has had a downward death spiral for the past year from over $250 to below $18. The stock has been a day traders paradise, almost trading like a triple leveraged ETF with the high amounts of volatility on an almost daily basis. As we discussed in our video on longer term support and resistance levels, identifying larger areas of support and resistance is extremely important to understand where there is a higher probability of price rejection. Trading VRX on 7/13 was a perfect example of this. VRX had create a short term bull flag on the daily charts and broke out of this intraday. It quickly ran into 3 levels of strong resistance and failed, quickly invalidating the bull flag setup and then breaking down thru the bottom end of the flag and taking out the bull bear line as identified in the video. The stage was set to day trade this bull trap. This move lower thru support was coupled with gigantic volume and huge sell orders. The increase in this volatility was great for day traders, it confirmed a strong downward trend and in this video, I cover how you could have traded it. The key to nailing a trade like this is to be prepared. You must have done your homework and know where these critical support and resistance levels lie and then be able to act when an opportunity presents itself. With the advent of algorithmic trading, you have to be very cautious of these so called trading setups you hear about all the time. There are a ton of trading chat-rooms and day trading educators that will teach you about these basic formations but what they won't tell you or understand is that these patterns can be like sending sheep to a slaughter house. These algos are designed to understand trader psychology and behavior. They have access to information that you do not have. They can see every order, every stop, and design a system to take the most amount of money from the most amount of people in the shortest amount of time. Have you ever noticed that it feels like hard work to find a stock that trades direction-ally without much resistance? There are a ton of games being played by the machines and that is why you must be able to put the big picture together. When you watch the video, you will see that VRX looked like a great trade in the morning and probably sucked in a ton of longs who got trapped when the stock quickly reversed. In trading, if you can't beat them, join them!